A cover of ‘Daisy Bell (Bicycle Built for Two)’ by Nick Cave features on a new charity album compiled by artist Mark Ryden. 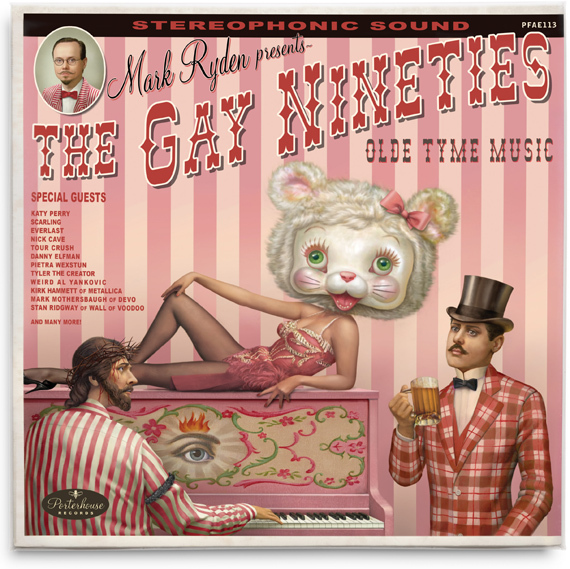 The LP ‘The Gay Nineties Old Tyme Music: Daisy Bell’, which also features covers of the same song by Tyler the Creator, Metallica’s Kirk Hammett, “Weird Al” Yankovic and Katy Perry, will be released on May 13th here as part of Ryden’s new exhibit at Kohn Gallery in LA, ‘The Gay 90s”. The album will be pressed on 180-gram red vinyl and costs $99.99, with the proceeds going to Little Kids Rock. via Mark Ryden Compilation Album / Nick Cave.